The plane descended over Rio de Janeiro with a crescendo of brass, strings, and emotion. The music playing in my headphones echoing my anticipation of the drama that lay ahead. Each beat brought a more urgent sense of arrival. Through my spacecraft's tiny window, a distant world with a thousand softly twinkling lights beckoned down below. I imagined people huddled round campfires, telling stories, laughing, oblivious of my presence far above them. “The shock of Brazil's poorest reality. Trying to grasp the origin of this sad show. No time to blame others, just time for homework. The spoliation of the developed world goes on.” - quote from Paulo, a friendly Brazilian I met on the flight. As I sped away from the airport in a yellow taxicab, it wasn’t the towering Corcovado (statue of Christ the Redeemer), the golden sands of the Copacabana, or a sense of the ‘Latin vibe’ I noticed. Rather, the festering stench of simply too many impoverished people assailed my senses. Do people really make the world go round? I left Rio unexplored for the time being and headed inland by bus. From the comfort of my reclining chair I watched the scant and filthy favelas glide by. A man dashed across the highway, weaving his wheelbarrow through the torrent of choking traffic. A pony in the back of a pick-up truck, its mane wafting in the bitter air, hoofs shifting nervously with the rattle of its ride. Police standing guard with machine guns and rifles. Guarding what I wondered and from whom? Trees appeared sporadically, sprouting through the concrete. As we journeyed onward, however, nature slowly took hold with luscious forest rising densely on either side. It was now the road that seemed to scar the landscape. Later the mansions and gated communities of Brazil’s rich appeared. Grand, spacious, and ornate, in stark contrast to the scene left behind in Rio. Brazil has one of the most unequal income distributions in the world. According to the IBGE (Instituto Brasileiro de Geografia e Estatística - Brazilian Institute of Geography and Statistics), the top 1 percent of Brazilians, with 14 percent of the nation's wealth, has more money than the poorer 50 percent. We made a slow and sinuous accent past two huge pinnacles of rock towering higher than São Paulo's skyscrapers. Then, down through valleys and sweeping plains. Suddenly the landscape appeared barren. Hills that seemed to roll on forever into the distance had lost their luscious coat, as if a giant shaver had swept across them. Knowing what once existed, the emptiness which lay before me was mirrored within me. The Brazilian Atlantic Rainforest (Mata Atlântica) once stretched three thousand kilometres from the state of Rio Grande do Sul to the state of Rio Grande do Norte (lat. 8°-28° S). However, since the arrival of Portuguese colonists in 1532, loss of this forest to timber exploitation, cash crop plantations, and pasture has led to 93% of its original 1.2 million acre expanse being destroyed. Furthermore, less than 10% of the remnant patches of forest I could see was primary forest. After volunteering for research and work at the Iracambi Conservation Centre two months, I was joined by friend and media student James Newton who flew out from the UK a week or two later. Here we began filming; recording the Centre's pioneering work on sustainable farming. However, we soon decided to head north for some real adventure. This was spurred by memories of seeing the Amazon on television as a child. How enchanting it was to imagine this last great frontier and all the wonders it held. I was in Brazil - I had to go! Meanwhile, some friends at the Centre were about to head south to a paradise island and had invited us. There's always an easy option! I didn't really know where to start, or where to go in the Amazon. All I knew was I wanted to see the forest, and the effects of deforestation, for myself. Despite my poor Portuguese linguistic skills, a crackly telephone line and an intermittent internet connection, I soon formed a web of contacts. Greenpeace gave me the contact number for a Catholic nun. They told me that she had a price on her head and might be in hiding. A nun, on a death list?! I began to wonder just what I was letting myself in for, but was intrigued. Unfortunately the number was unobtainable. A week later, just when I felt like I was getting nowhere, I was given a new number for the nun, and her name - Sister Dorothy Stang. I dialled at once. A soft impassioned tone greeted my eager ears, and somehow I knew I'd found what I was looking for. A mere five-minute phone call was all that was needed. Sister Dorothy told about the desperate situation of the people in her area, the terrible destruction occurring daily to the forest, and a town called Anapu to which I must head. I was inspired. I was off to a remote part of the Amazon to meet a nun - I needed nothing more. Sister Dorothy hadn't seemed surprised by my call in the slightest. I would later learn that it was a wonderful coincidence to catch Sister Dorothy when I did. For she only visited the place I called for an hour every month. Not that I believe in coincidences! I felt a wonderful sense of opportunity and purpose for the mission ahead. In the week prior to making contact with Sister Dorothy advice had been varied and contradictory. One contact even told me not to trust another, that they were "unreliable". However, they all had one thing in common – a word of warning for the potential dangers ahead. In particular, I was repeatedly urged not to take a bus north from Maraba to Altamira. Violence against passengers is common and as a 'gringo', meaning foreigner, someone was sure to tip off the gun-wielding bandits who often target the route. Another person was concerned that we didn't fully realise the "distances and difficulties" involved. Indeed, unfolding a map of Brazil and looking at that alone exhausted me. The Amazon rainforest is huge! It covers over 1.2 billion acres - two-fifths of the South American continent. There was one person that seemed to have no qualms about our potential journey. Binka Le Breton, author of Voices from the Amazon and director of Iracambi Conservation Centre, had travelled to the Amazon many times. For her, the possibility of armed ambush was simply "part of the experience". She was quite upbeat about it in fact. "You'll be fine" she said, and smiled. I half smiled too, for I knew this to be true but am always a little suspicious of anyone else telling me so. So I thought of Binka, her smile of invulnerability and zealous attitude to all, and remembered that anything was possible. Well almost anything; we were carrying thousands of pounds worth of camera equipment and a bus journey wasn't worth the risk, especially when we could fly and save ourselves three days travel by doing so! Meanwhile, Greenpeace informed me that two French journalists had just been shot whilst trying to film illegal logging. So the dangers were real. Mars, the God of War, was bigger in the night sky than at anytime in the past 5000 years, so Binka told me. It seemed apt, for within me conflict brewed between excitement and trepidation. As we stepped from the aeroplane an intense humidity and a midday sun slapped our senses. 3º from the equator felt more like 3º from boiling point! Undeterred, although a little sweaty, we headed straight to meet our first contact at Greenpeace. After a brief interrogation by two guards, we were allowed through the giant electric entry gates of Greenpeace HQ. Such security was alarming, but I soon discovered its purpose. Most of the staff have their names on a death list. Work in the field means wearing a bullet-proof jacket. They are frontline environmentalists, campaigning to defend that which cannot defend itself. We listened to their stories and watched videos of recent campaigns in the forest. They showed us the satellite photos they use to monitor the rate of forest destruction. Cleared areas show up brighter than the surrounding vegetation and due to the different thermal properties they can be up to 4ºC warmer during the day. One video almost had me in tears. I felt so empty, hopeless and utterly depressed after watching it. It showed an indigenous tribe whose land (and way of life!) was being torn apart by illegal loggers. Our contact had helped the villagers use their fishing boats to form a barricade across the river. It was hoped this would prevent the barges, piled high with huge tree trunks, from passing. But it didn’t. There was no happy ending. The local major, who was funding the loggers, threatened our contact that if she returned she would be shot. Months later, she did return, but in disguise. That is the situation in the Amazon, and the bravery of those fighting to preserve it. I felt awful dread ensue as the reality begin to bite. A reality the world was choosing to ignore. The more I learned, the more difficult my journey became. As I left the office I noticed a picture on the wall above someone’s computer. 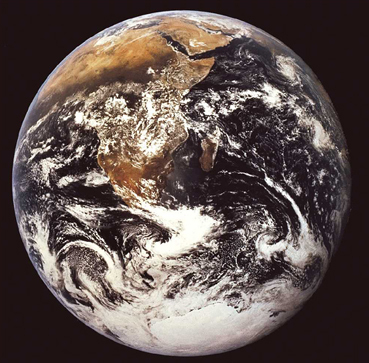 It was the Earth from space but with a ‘reset’ button on it, and an image of God poised to push it. How very depressing that day was. The day we began to destroy our environment; the day we created our responsibility towards it. As I looked out across the river I felt all that was safe and familiar drift away, and thought of the journey ahead. Every so often a barge piled high with rich forest pickings - huge tree trunks - would pass by. I wondered where they had come from, where they were going, and if this was what Sister Dorothy's fight was about. As we steamed downstream time began to slip by. Each day became nameless. The air was thick and hot. It sapped your energy and resisted every movement. So much so that walking felt more like wadding. Relief came as evening fell. A fresh breeze blew from the bow, ruffling the rows of gently rocking hammocks as it passed. Far over distant jungle lightning flashed, silently. So too did the fish. Pulses of fluorescence plotted their course though the river…the Amazon river! I couldn't quite believe I was there. It starts as a trickle high in the snow-capped Andes mountains and flows over 6,000km across the South American continent to the Atlantic ocean. In the wet season it can reach 400km across! It's the largest river system in the world containing over a fifth of all fresh water found on Earth. The nightly infestation of a thousand flying beetles had begun, but they didn’t bother me. I watched the lightning. It had an eerie beauty. I knew that at its source a fierce storm raged. I imagined the clouds thumping and clapping in fury at the 'war in the forest' that my Greenpeace contact had described. The awful destruction happening out of sight. I thought how distant such problems seem back home, yet how relevant they were to us all. That one day the world would wake up, but too late. It could so easily become the Mata Atlântica I'd seen in the South. Twisting with the discomfort of my hammock, my thoughts, and the itch of tiny insects, I slowly drifted to sleep. We arrived in Santerem after a tedious and bug infested three days. It had all been quite intense so far and we wanted to relax for day or two. We heard about a paradise island nearby on one of the Amazon's tributaries, and set off to investigate. We weren’t disappointed, and spent a day sipping coconuts, lazing on soft white sand and swimming in the tepid, but rather murky, river - a cruel prelude to the hellish hours ahead. I met a really nice Brazilian girl in the afternoon and arranged to meet her for a drink that evening. There was a special music festival happening. It was going to be great - an authentic Brazilian fiesta! Not this nervous, surely…my stomach feeling rather strange to say the least. Oh please no, please no - not food poisoning. Not now, not with only 15 minutes to go! Five minutes to go - I feel sick and dizzy. The heavens open, rain pours down. We run for shelter, but I can barely run now. I double with pain. “One minute to go Jim!”. “Rubbish, lets get you to the hotel” replied James as he realised it probably wasn’t just nerves! For the next ten hours, oh for the next ten hell-ridden hours, I had the most awful vomiting, diarrhoea, and blazing temperatures. Never, would I swim in that beastly Amazon river again. But my main concern was still that I'd missed my date! The rain continued to pour down, in thick sheets. The next day we had a plane to catch, which meant first a bus journey back to Santerem. I was still feeling incredibly delicate, and could only just manage to hobble up the road to the bus stop. Of course it would then be the bumpiest bus in history wouldn't it! A fellow passenger turned towards me, perhaps noticing my whimpering groans. He saw my discomfort and gave me the warmest of smiles. In my fragile state welled great emotion. Some threshold of Brazilian benevolence had been surpassed. At that moment I felt as if I had just realised my love for the Brazilian people. Like when you search around for something you think you’ve lost and then find it in the place it was meant to be all along. I turned from his gaze to stare, eyes glazed, out of the window. It was one of those rare moments of clarity when you feel a true appreciation for life. I was alive! Feeling rather fragile, but feeling all the same. Another bout of projectile vomiting soon brought me to my senses. I spoke to Sister Dorothy briefly again and she told me to head to Altamira and find the Casa de Padres (the Priest's house). She insisted we didn't take the bus. The Amazon looked great from the air. An emerald ocean stretching as far as the eye could see. However, as we neared Altamira the scars of civilisation soon began to appear. Horrible, brown, and sudden. On arrival we got a little lost. My pocket book Portuguese failed me and we ended up in a little restaurant. We were just tucking in to our dinner of rice and beans (what else?!) when two young Brazilians joined us. I could barely understand a word they said but they seemed friendly and I definitely heard the name 'Dorothy' once or twice. We put our lives in their hands, hopped on the back of their dirt track motorbikes, and luckily we ended up at the Priest's house; our 'safe house' for the next two days. It turned out Sister Dorothy had sent them to look for us, and being the only English boys in town that hadn't proved too hard. All morning butterflies fluttered in my stomach until finally I met Sister Dorothy. Heaven is a place on Earth, and angels do exist! An incredible lady, with an inspiring delight for life and wonderful sense of humour. Immediately she began to tell me of her struggle, and why she was on a death list. "Drink plenty of water, its the best way to survive round here!" she chirped as she left the room. On our way to dinner we passed some plush houses. “Homes of the corrupt and unpunished” Sister Dorothy informed us. She kept a low profile, literally walking in the shadows, afraid that one of their inhabitants might notice us. Not for her sake, but for ours. She was insistent that we didn't spend more than a week with her. We were treated to Pizza, which made a nice change from rice and beans. Sister Dorothy began to describe her 38-years in Brazil, the daily “killing” of countless trees, and life in the town of Anapu where we would head the following day. "There were just five logging companies in Anapu" she said. "Electricity and telephone lines were installed two years ago and now there are now 24!" She then told us how she was robbed on a bus at gunpoint only two days earlier. Now I was certainly glad we had taken the plane! We arrived in Anapu under the cover of darkness after a long, hot and bumpy bus ride. Sister Dorothy didn't want us to speak English, and if anyone asked questions she would introduce us as her nephews. Mosquitoes buzzed incessantly. Sister Dorothy lived with another nun, Sister Jane, who took us that evening to their neighbour's 21st birthday party. The girl burst into tears on our arrival. I think I was the first English guy she'd ever met and was the guest of honour, but couldn't dance very well. Brazilians sure know how to show their emotions, and seem happier for it. The Sisters lived in a simple little house and liked to use many natural products from the forest such as nut oil, medicines and materials. "This is what you put on your feet when you have corns," said Sister Jane, dabbing her toe with a bright white liquid, "but if you get it in your eyes, it blinds you". The bliss and bite of nature! The next morning Sister Dorothy made us pancakes - more than we could possibly eat - and served them with big dollops of maple syrup from Vermont. Bellies brimming, we set out in her fume-filled Beatle along part of the Trans Amazon highway. It's not really a 'highway' - more mud and dust - but it stretches 5,400km from the Atlantic ocean to the jungles of Bolivia. Sister Dorothy was taking us to see her sustainable development projects for the local community. First stop, a fruit factory she had established to provide people with an alternative income. Rather than clearing the forest, they could harvest its fruit. However, money was quickly running out and sales of their nutritious banana flour and acai pulp were desperately needed. Acai is a fruit I first tried at one of the many fruit juice bars in Rio. Chocolate maroon in colour, and usually served with banana and oatmeal, it is packed full of antioxidants, amino acids and essential omegas. The taste is out of this world. After the first sip your mouth somehow seems bigger, as if some secret taste bud previously lying dormant and now suddenly awoken. Next, we headed off the highway and stopped off at a coffee plantation. The forest had been cleared several years before but the government had provided money to 'revive' the land. Unfortunately this had been embezzled by corrupt landowners and the land was now in no better state. To see sparse coffee trees growing where once a rainforest flourished (the world's richest and most productive ecosystem, containing half of all living species), was abhorrent. Two Brazil Nut trees stood witness to this former existence, towering high above the plantation. It is a protected species and you can see them dotting the pastures all across the Amazon. They no longer bare fruit however. They are all in various states of decay. Usually a special type of orchid bee pollinates the trees but it cannot fly far from its nest. Once the nuts fall to the ground, their hard casing must be opened by the sharp teeth of a rodent called the Agouti. The Agouti plays an important role in the dispersal of seeds, sometimes carrying them over 400m from the parent tree. This wonderful intricacy, symbioses and delicate balance of nature destroyed by human ignorance. Keeping our heads low and camera hidden, we journeyed onwards along the red dirt road. It seemed an eternity before we reached any real forest. I saw the distant trees standing high on the edge of a battlefield, and felt their energy as I approached. We stopped at a point between two worlds. A cloud of colourful parrots shrieked overhead and I heard the call of monkeys far in the distance. Before me rose a mighty rainforest, standing proud in the rich earth and deep sky. A delight to the senses. Sometimes we forget we are alive - we have to remind ourselves - but now I could not help but feel and celebrate every breath of life, its colour, its richness. It was a place infinitely distant from anywhere I had previously been, yet so intimately close to something deep within. Behind lay the story of man's destruction, an unwinding yarn of degradation. A landscape raped and pillaged of life. The soil wept its worth into an aimlessly meandering steam stained with silt. A brown vein lost in a frail skin of endless pasture. The knowledge of what once existed there throbbed like a thorn in my side. Tears fell, but only to be caught by the dust that rose from the road, a road which ran like a scar through the forest. My first night in the Amazon was spent with John Lennon (his father had been a great admirer of the musician!). John had been forced to move from their previous home by gunmen, their land stolen by wealthy ranchers. This time they have refused to give in and were living in the forest with the help of Sister Dorothy’s sustainable development project along with 600 other families. Life seemed simple but hard. John showed us the stream in which to wash, whilst his wife cooked us rice and beans on a charcoal fire. Their chickens had produced only one egg that day. It was kindly shared between all eight of us. The next day we arrived at a village, close to where Sister Dorothy would later be killed. The people gathered under a leaf-covered classroom to hear her speak. She had helped establish this community in the hope that it would consolidate and become permanent, rather than accept the ‘nomadic’ alternative of 'slash and burn'. It is a hopeful project for the Amazon and one with many enemies. It safeguards the forest from encroachment by loggers and ranchers. "Ask the people why they are here and they say 'because there was nothing left where we came from' - so they need to change their ways. The local Mayor thinks of just today, immediate profit and one form of work - logging!" said Sister Dorothy. She blew me away with her passion and commitment to the people and her message to the world - a new way to think and act that brings together people to share ideas, to make use of the forests without causing their wholesale destruction. Loggers were heading their way and she was encouraging them to stay alert and stick together. We were shown saplings the villagers were preparing, ready to plant in the rainy season. They were potting Cacao (chocolate!) tree seeds, hoping to earn a sustainable income from the forest. Sister Dorothy then showed us an area where she had helped them plant trees, "a diversified area bringing new life to a land that was lost". "Look at this tree", she declared, touching an infant mahogany tree about the same height as her. "It gives us everything it can. We have mind and heart, and we must choose how to use that tree…sustainably!" How could I not be inspired by the pure energy and determination of this dear 71 year old. We were taken deeper into the forest until we came to a point where the trees parted to scene of utter devastation. An open expanse of wilting grass and charred remains. Barren, horrific, obscene. Sister Dorothy stamped the ground; rock that had once been soil. "Look!" she proclaimed, "this used to be Amazon forest. It's gone forever. Nothing can grow here now." Sister Dorothy told me that when the rancher had invaded the land and chopped down this enormous area he left a tiny island of forest in the middle. He then made a fiery sacrifice to all the animals that had sought sanctuary there. I felt sick. The saying, ‘can’t see the forest for the trees’ is so true, but when we think of deforestation it’s easy to forget the life other than the trees. The real riches of the forest were wondrous…incomprehensible. I stood quiet and still in the thick moist forest. I wondered when it would be the turn of all the life I sensed around me to be burnt alive, and lost forever. Not long ago I received a letter from Sister Dorothy. The situation sounded desperate. "29th of May - another shoot out, this time at a place you visited. John Lennon and his wife were in the midst. His brother, who lived next door had his home invaded by six hooded gunmen. He fled and I got out to Brasilia for help. The landowner is still a threat and these families are with others. Not long 54 men with 40 chainsaws invaded this land and cut 1000 hectares," she wrote in 2004. Last year saw the worst logging in the Amazon ever, yet the world seemed blissfully unaware. At this rate, Sister Dorothy reckoned there would be nothing left of the forest in her area within five years. We returned to Anapu and sat down with Sister Dorothy to reflect on all we had seen over the past few days. She talked passionately about deforestation, Western consumerism, climate change, and discussed her hopes and fears for the future. 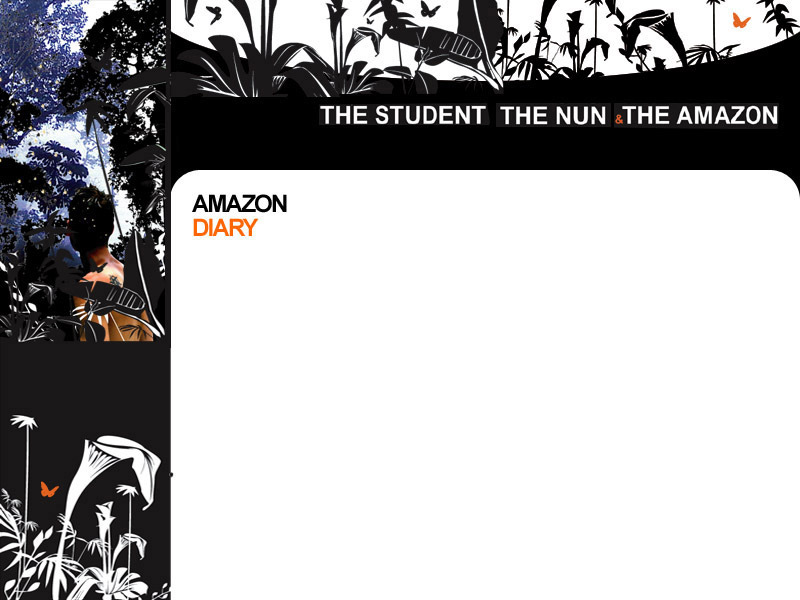 You can see my interview with Sister Dorothy in our film, The Student, the Nun & the Amazon. Although our journey had not been about the indigenous peoples of the Amazon, Sister Dorothy also told us stories about their plight. There were an estimated ten million Indians living in the Amazonian Rainforest five centuries ago. Today there are less than 200,000. As tribal groups disappear, their knowledge vanishes with them like a library burned to the ground. The usual method of ’culling their numbers’ was to give them clothes laced with diseases to which they weren't immune. Sometimes, white man's tactics were even more horrific. Over twenty years ago, work began on constructing the Trans Amazon highway. Several tribes were living on the proposed route. Planes flew over the forest. At first the people fled in fear when they saw them. Over time however, they became accustomed to the planes and the parcels of food and gifts they dropped. The Indian’s would come running in fact. One day, as they flocked to collect more of the wondrous gifts falling from the sky - Boom! A bomb. Those that survived fled deep in the jungle. Today there are still people in the forest that have never had contact with the outside world. Government researchers sometimes go in but all they find is a deserted village. They run and hide, and wisely so! The Indians do great environmental work for us all by protecting huge islands of forest. They don't see the colour of money, but the loggers use alcohol to corrupt them and take their forest. Sister Dorothy showed us a journal and some newspaper cuttings highlighting the human rights work that had been occurring in her region over the past 30 years, but was keen to emphasise "its not just human rights, but natures rights too!" She then opened her bible and read to us briefly. "Keep rowing upstream" she said. A warm hug, kiss on the cheek, and she was off. Waving from the window of her little white beetle, she drove away down the Trans Amazon Highway. My journey had come to and end, but for her I knew the battle went on. I knew she would always inspire me. I hoped I would see her again, but I would not. I feel most privileged to have met her. From space, Earth’s limited resources seem so obvious. Are we to live like parasites and devour that which sustains us? Evolution need not worry. It is neutral. It has recovered from ice and fire many times in Earth's 4.3 billion year history. But we live now, in the blink of the human time frame, and foresight appears not to be our forte. We do have the capacity to care, however. To make choices and to discern between right and wrong. The issues we face today are of a scale that we barely comprehend and our actions to tackle them are, so far, wholly inadequate. We cannot live indefinitely without eventually confronting the consequences of our present actions. If we do not change our ways, climate change will arbitrate for us. Our development trajectory is not without fall out. The Rainforest….unfathomable beauty, plant and animal species yet to be discovered and possible cures for diseases - vanishing forever. Perhaps that is what our children will find hardest to forgive. The miracle and pure chance of their creation strung a million years, yet we are close to destroying it in but a few hundred. I believe a better world is possible, but hope is not enough - we each have to make it so. Embrace change, or fear it? Look for the positive and see the opportunities, or focus on the constraints, the negative, and the comforts we could lose? One of the first things Sister Dorothy asked me was whether I was part of "the new age Christian way". I was intrigued. I had an inkling of what she meant, but encouraged her to talk. I am not religious, and never will be (although that depends on how you define ‘religion’ - in some respects we are all religious!). I do not want to say what I am. To do so would also proclaim what I am not. Could our conflicts end if we start to identify ourselves by our similarities rather than our differences? However, Sister Dorothy showed me the enormous power of faith, and the importance of an open mind and a sense of humour. I realised that Sister Dorothy’s struggle with the ranchers was by no means her biggest battle. Such courage and faith must require enormous will power, and moments of awful darkness and loneliness. But that was the Good Fight she chose, and by strength and joy, she could rejoice. The day after Sister Dorothy's murder I opened the Bible at random. "I trust in the Lord. I will be glad and rejoice in your love, for you saw my affliction and knew the anguish of my soul. You have not handed me over to the enemy but have set my feet in the spacious place." (Psalm 31:19). Perhaps this is relevant, perhaps not, but I share it all the same. As a word, “faith” comes from the latin fides, which means “trust”. We cannot know everything, and it would be foolishly arrogant to think we did. Our ignorance is boundless. As such, everything and everyone deserves our respect. Is ‘darkness’ simply ‘not knowing’? Do we use ‘original sin’ as an excuse not to act and better ourselves? Sin is what happens when we drift from our sense of oneness with the world and each another. Are people so busy looking for the ‘heaven above’ that they ignore the one here on Earth and within us? Do we need to seek more than this miraculous and beautiful world to bring purpose to our existence? The mindless deforestation continues exposing a profound lack of respect for ourselves, each other and our planet. Let’s open our eyes to the brilliance of this world. Is it not worth celebrating, and surely worth protecting? Lets focus on the positive, the “Original Blessing” as Sister Dorothy put it. We all need to form a vision of what we want society to look like, and head that way. "I wish to strive for the Great Possibility," I said once to Sister Dorothy. "Yes," she volleyed. "For I could choose heaven or I could choose hell (on Earth)", I said. "Life is Heaven!" she said, and we smiled. That 'possibility' is the best and the worst part. The fact that all this violence and destruction was and is avoidable. Today is a choice and tomorrow is anew. We are locked into much unsustainable behaviour, but by systems created and operated by people. Change can happen and must happen. Great courage and leadership, not in war, but collective good…for our very survival. I have seen the majesty of nature, and its awful destruction, but still can’t help but feel that no forest is as precious as a human heart. As we progressively destroy our environment, awareness of our responsibilities towards it grows. Within lies the problem, but also the solution. 80% of the Amazon remains…there is hope! I believe we must strive for the greatest selfishness there is – one based on that glorious feeling of one of oneness, interconnection and interdependence we all feel now and then. That way, what is good for one is good for all. Can the beat of a butterfly’s wings cause a storm?